A few months back, I noticed it was a lot more cheery and bright in the paper towel aisle at our local Walmart store. I walked over to investigate the source and it was then that I had my first introduction to a RENOVA, a paper product company from Portugal! RENOVA has recently expanded to Canada and is now dazzling Canadians with their vivid array of paper products. Dubbed “The Sexiest Paper on Earth” and I can totally see why. Their product collection is like no other I’ve seen! RENOVA was the first to launch black toilet paper in 2005 and their red toilet paper is requested by Beyoncé when she’s on tour! How’s that for style? 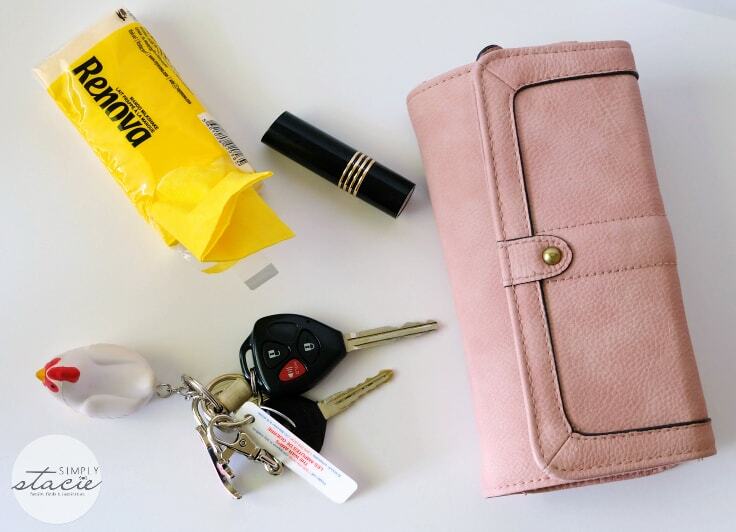 I felt a tad bit cooler keeping a package of RENOVA pocket tissues in my purse. I have a summer cold right now (ugh) so I’m blowing my nose in style. My cold is getting better thankfully and I noticed the pocket tissues are scented! The yellow ones pictured above are scented Mango Milkshake. Yum! They also are available in Purple (fresh lavender scent), Red (strawberry ice cream scent), Blue (blueberry pie scent), Orange (orange fizz scent), Green (spearmint gum scent) and Fuchsia (rose absolute scent). 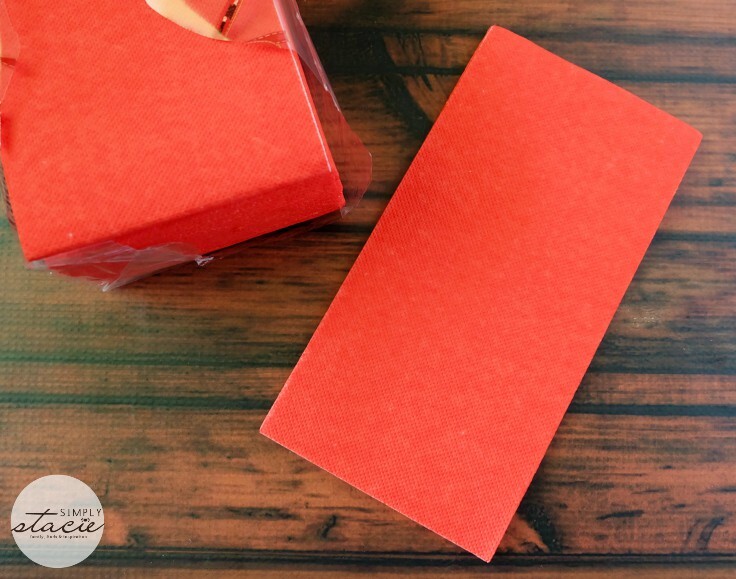 Who knew tissues could provide such a sensory experience with scent and touch? They are soft, three-ply and double sided with one side white and the other coloured. I also have a pack stowed in my vehicle and both my daughters have a pack in their rooms. RENOVA also has coloured napkins perfect for entertaining. A quick pop of colour on your table can take a regular meal into something extraordinary. It’s amazing what adding a few small simple touches can do for presentation! 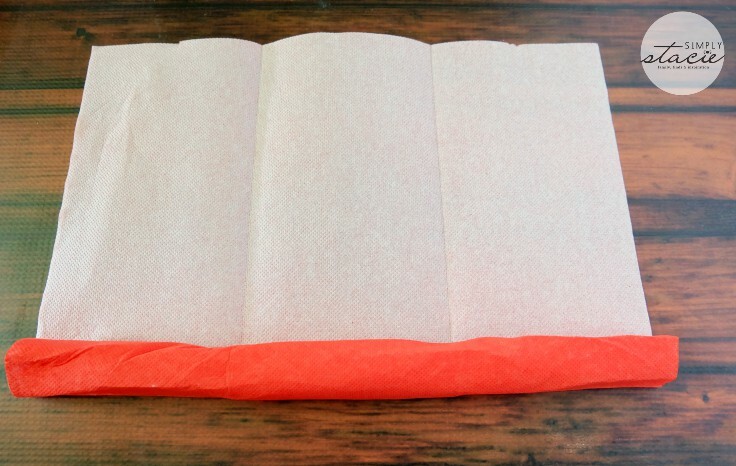 As someone who also enjoys photographing food, I always keep an ample supply of napkins in my home. 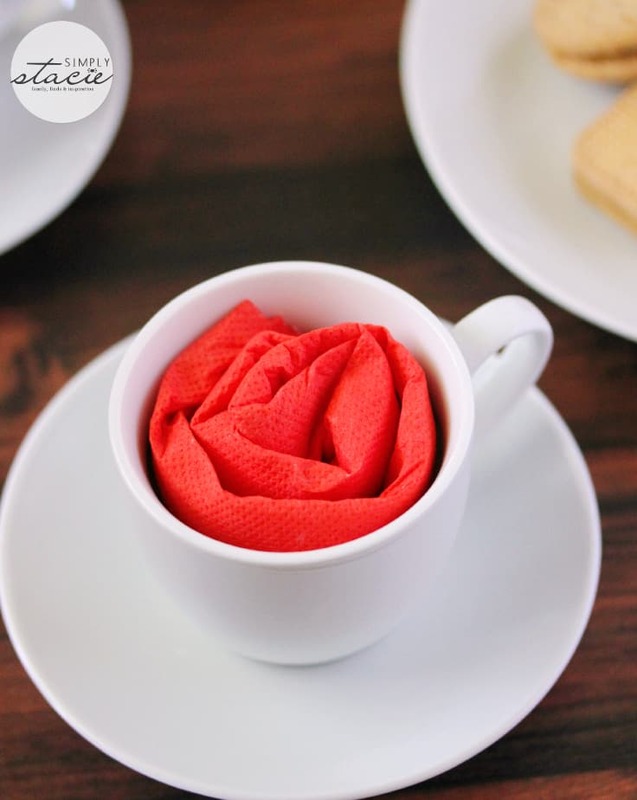 RENOVA has a gorgeous selection of coloured napkins in red, fuchsia, green, yellow and blue. 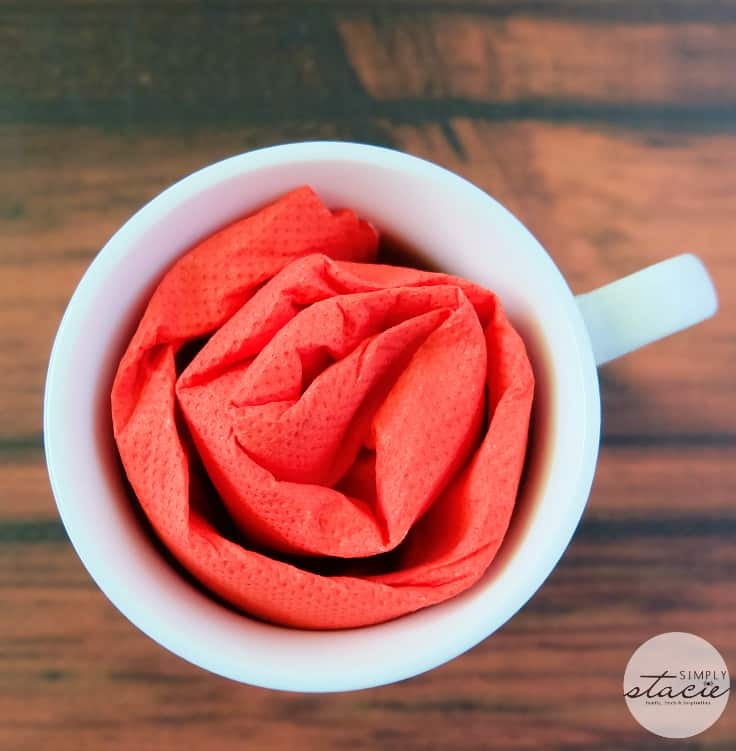 My daughter wanted to have a tea party so I gave her a quick lesson on making “rose” napkins for her tea cups with my red RENOVA napkins. 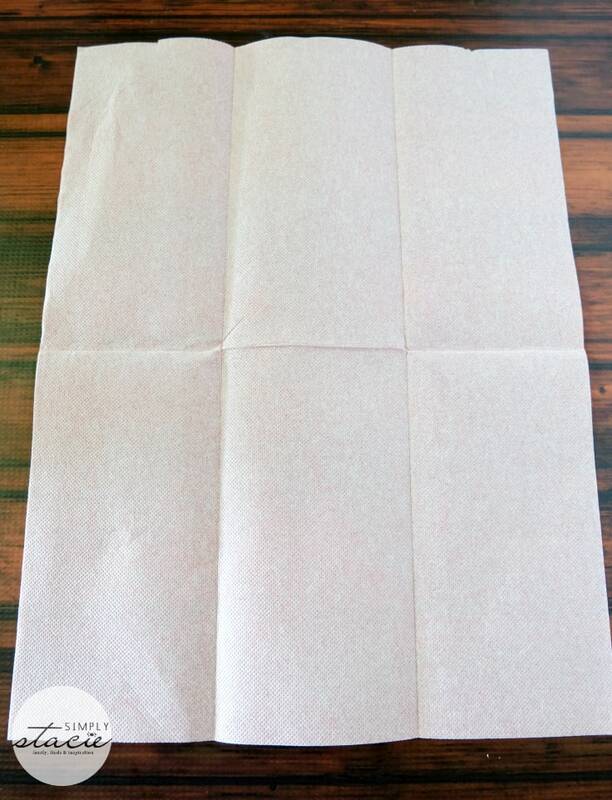 Open up your double-sided RENOVA napkin with the coloured side facing down. Roll it up right to the top. 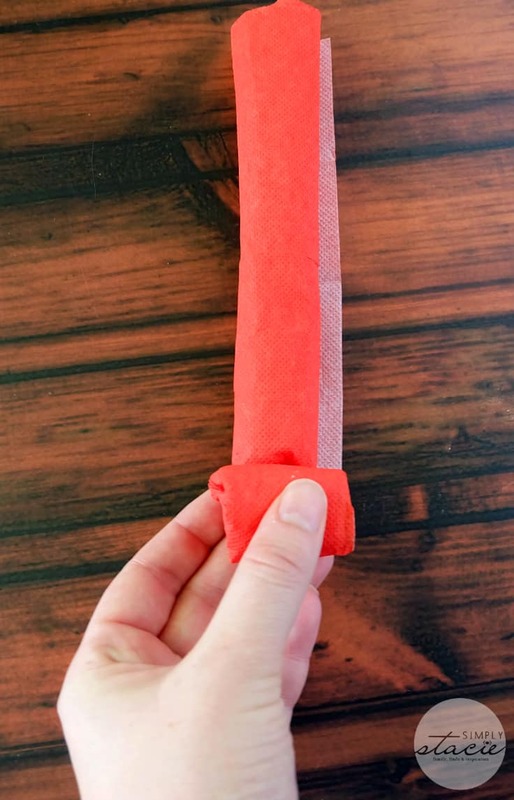 Once you have it rolled up, then you are going to roll it up again. When it’s all roll up into a circle, you are done! Super easy. Place it in your tea cups and it’s ready to serve for your guests. 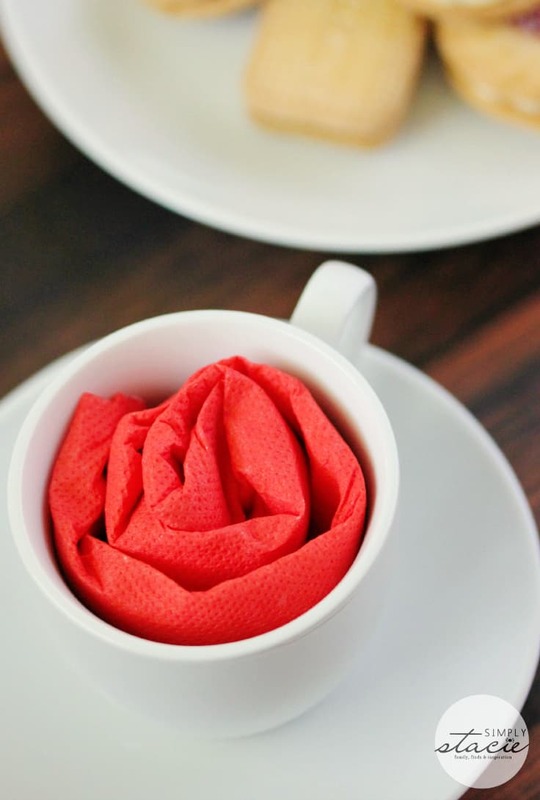 I’m not the best at fancy decorating, but this napkin trick is super easy. My 10 year old had no problems making them. I think the red colour suits the rose theme. 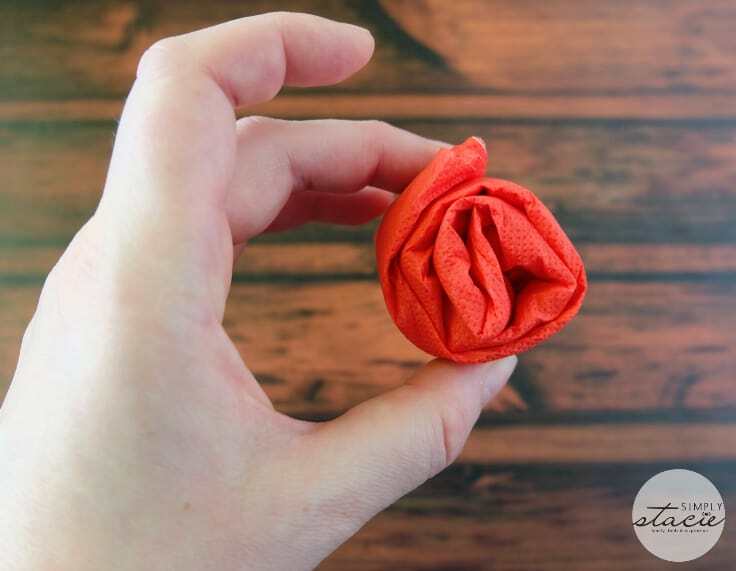 It looks like a pretty paper rose. Bridget said her tea party guests (aka her stuffed animals) loved them. 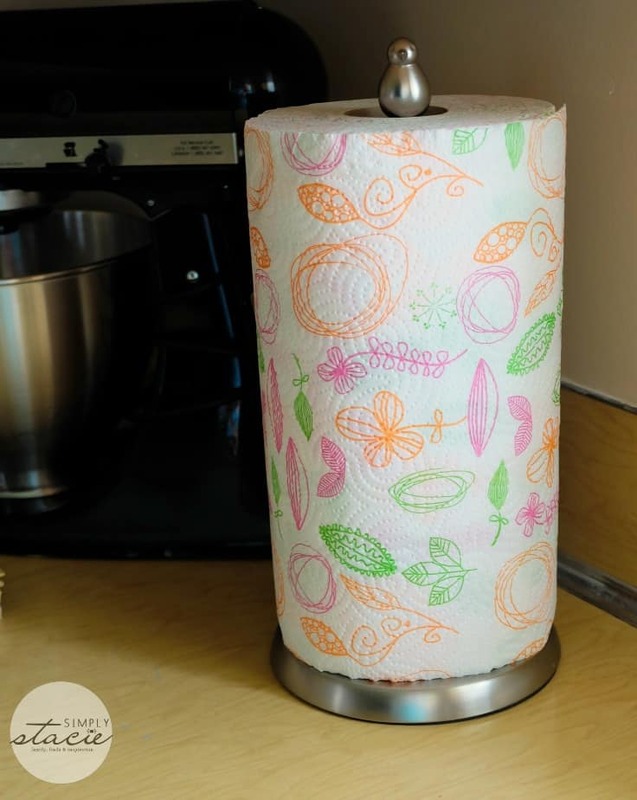 I’ve also added a pop of colour to my kitchen and backyard patio with RENOVA paper towels! 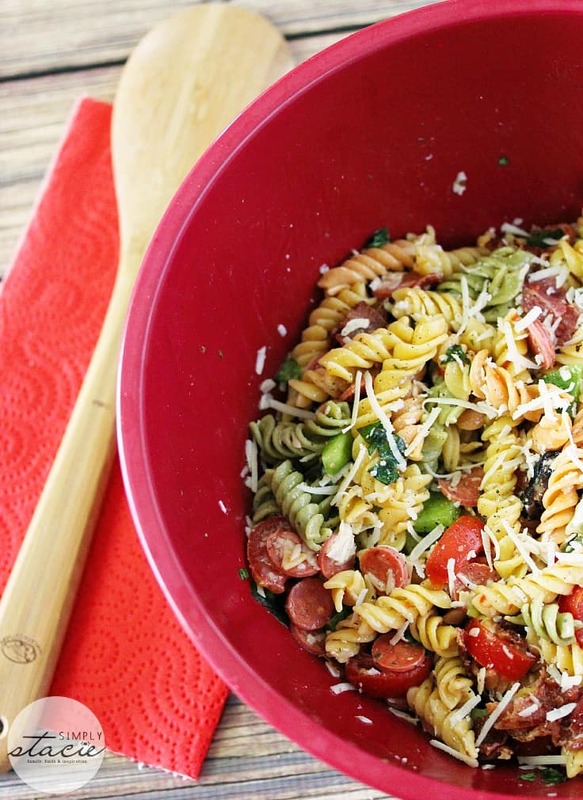 Over the weekend, we served hot dogs and hamburgers with a side of delicious Pizza Pasta Salad. The red RENOVA paper towels were a hit with my family. My mom and sisters were very curious and asking where I found red paper towel. I guess they haven’t seen them yet at Walmart. I told my mom she needs to buy the green RENOVA paper towel to match her kitchen. And look – the red colour even matches my bowl and napkins for a pretty picture! One side is red and the other side is white. With Canada Day just behind us, they fit in perfectly with the patriotic decor. 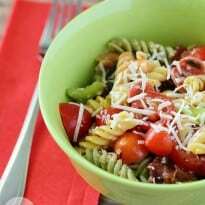 My guests dined on this zesty Pizza Pasta Salad with the red RENOVA napkins. The salad was a hit and I’ve got the recipe to share today with you too. 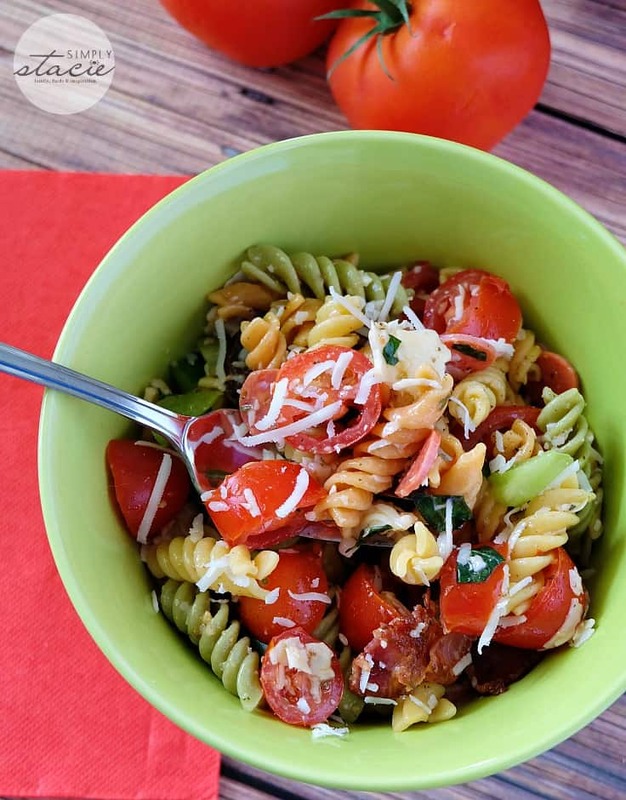 If you like pizza, then chances are, you’ll like this scrumptious salad. Serve it with some burgers and hot dogs fresh off the barbecue. I can see why RENOVA is so popular around the world. Their 700 products are sold in more than 60 countries and now Canada is on that list! Want to accessorize your home with the “sexiest paper on earth”? Find a store near you that sells RENOVA products or shop online. 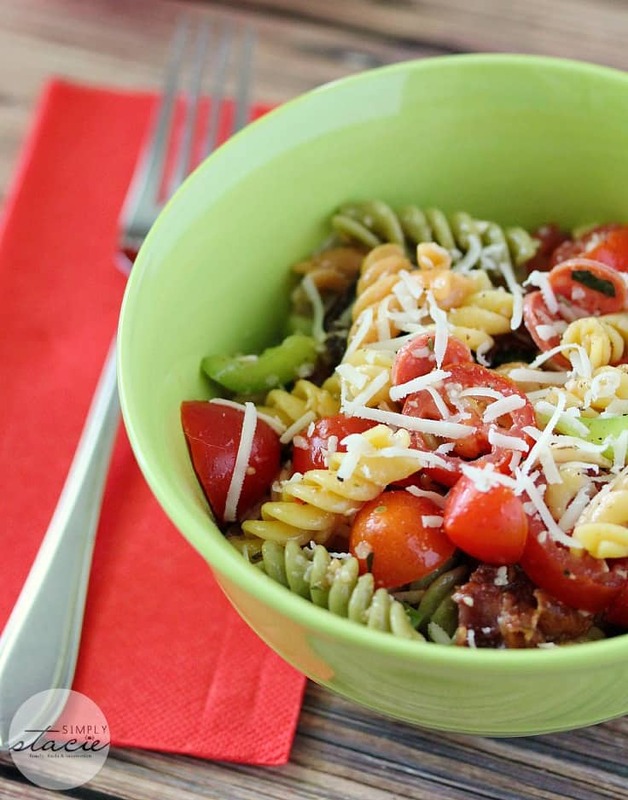 A delicious summer pasta salad that tastes like your favorite slice of pizza! 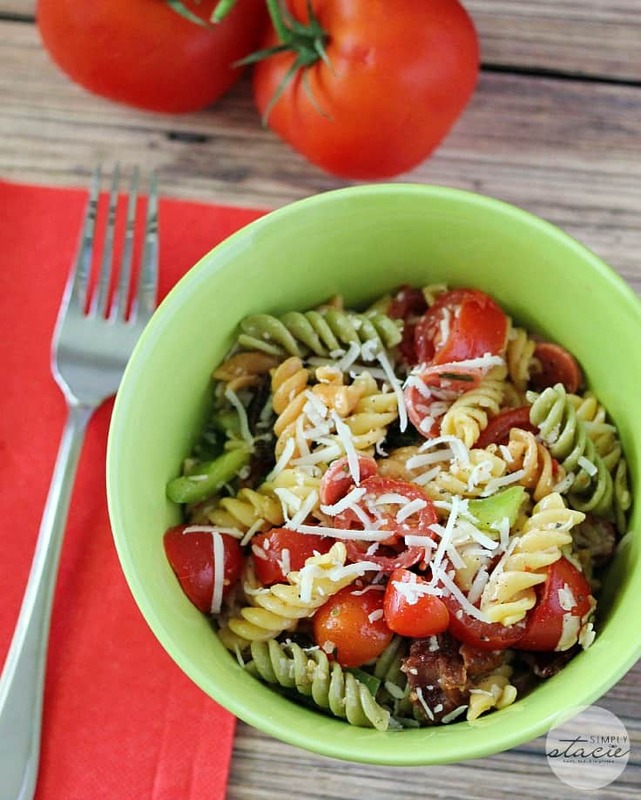 Combine green pepper, black olives, tomatoes, pepperoni, bacon, basil, Italian seasoning in a large bowl. Add in cooked pasta and stir to combine. 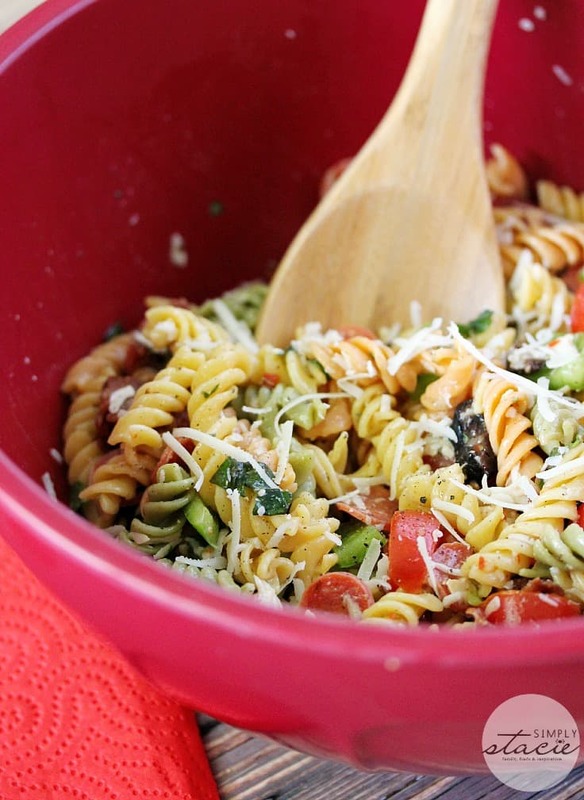 Add in Italian salad dressing, mozzarella cheese and Parmesan cheese and toss to combine. Season with pepper to taste. Refrigerate until ready to serve. This is a sponsored conversation written by me on behalf of RENOVA. The opinions and text are all mine. Restrictions apply.